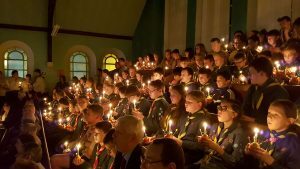 2007 is the Centenary of Scouting and to celebrate this important landmark Bedfordshire Scout Association is organising a county camp at Phasels Wood Scout Camp, near Hemel Hempstead (see "links" page). Scouts, Cubs and Beavers (day visits only) from all over the county will be camping on this fantastic 3 day/night event. Abseiling, archery, climbing wall, crossbows, mini bikes, dragon slide, water rockets, air rifles, ice wall, cresta run, gladiator trial, circus skills, pot holing, laser clay shooting, giant games, technology zone, skittles, quad bikes, inflatable obstacle course, bouncy castles, bungee run pedal karts, with many more to be added over the next few months. And yes, before you ask Scouts, we will also be having a fire so that in true tradition you can go home with your clothes stinking of smoke! 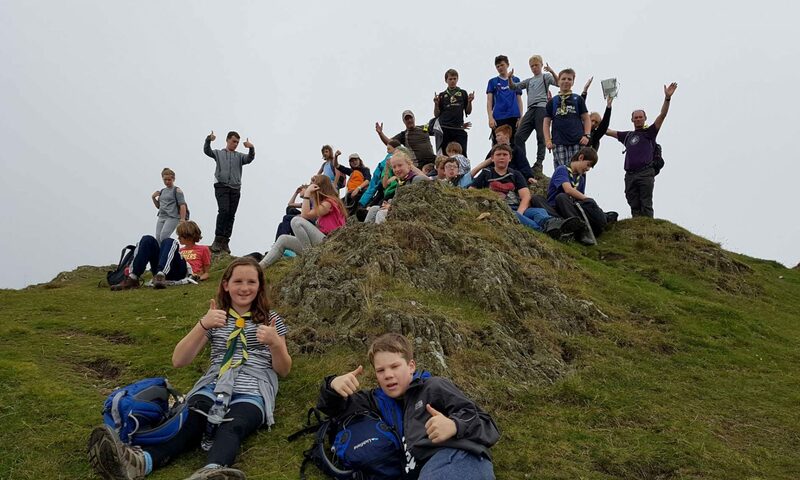 The cost of the camp including all activities & food is likely to be around £35 per boy, however we are hoping to subsidise some of this from troop funds. A special commemorative badge will be given to each person in attendance. We hope that every scout will attend this once in a life time event. As leaders we are also helping to organise other groups in our District to participate in this camp and would be grateful of as much parental help as possible particularly with transport, tent pitching and catering. If you would be willing to help out for the weekend, even if it is only for one day please let them know. For us to assess numbers we would be grateful if you could let us know by e-mail, that you will or will not want to attend the camp. A £20 deposit will be payable before the end of term. 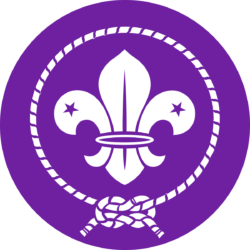 Beavers, Cubs, and Scouts – We need everyone! This is a major fund raising event for the Group. Please do give it your full support. It is intended that most of the funds raised this year will be spent directly on Beaver, Cub and Scout activities next year during our centenary celebrations. What’s Involved? There are 24 tills at the new Morrison's Store and we want to be packing shopping into bags at as many tills as possible and for as long as possible. Saturday 16th December – We have divided the day into 2-hour time slots – please tell us the number and times of the slots you can cover, if you are unable to do 2 hrs but available to do 1hr we would still appreciate your help. Time slots are: 10.30-12.30, 12.30-14.30, 14.30-16.30, 16.30-18.30. Contact us via the "Contact Us" page (see left), stating when you can help. What do I need to Know? Smart Uniforms please. Collecting tins can't be rattled, Smile, Be helpful and friendly, and most important of all – have fun and enjoy it!